Here in all its glory is what I consider my magnum opus, to date at least. Geode is approximately 54 inches in each direction and heavily embellished with beads, as seen here. It’s on display at Satin Moon until Saturday. As I worked on completing it, it dawned on me that this is very much a metaphor for how I prefer to live, which was why the original title of this blog was Chameleon’s Nest. I’m just not a person that wants to blurt it all out all over Facebook! 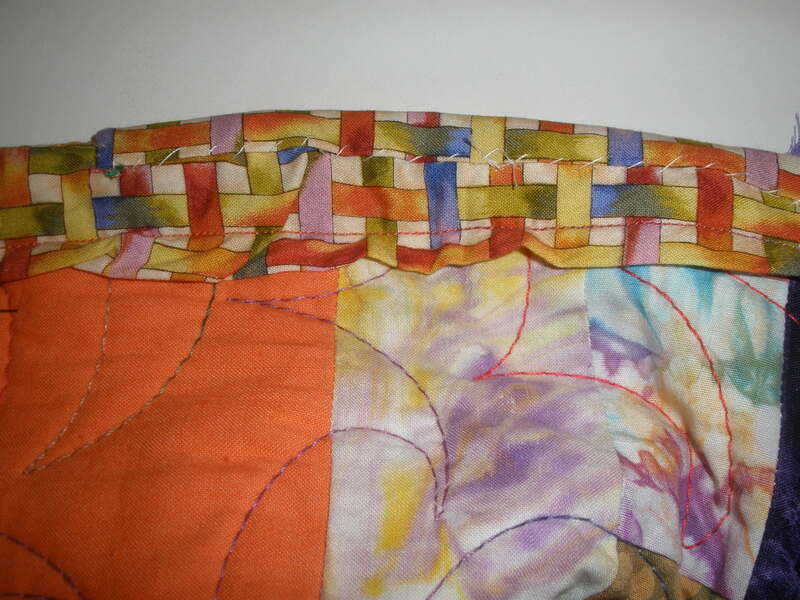 This piece is constructed of traditional strip piecing which has been slashed and reassembled. 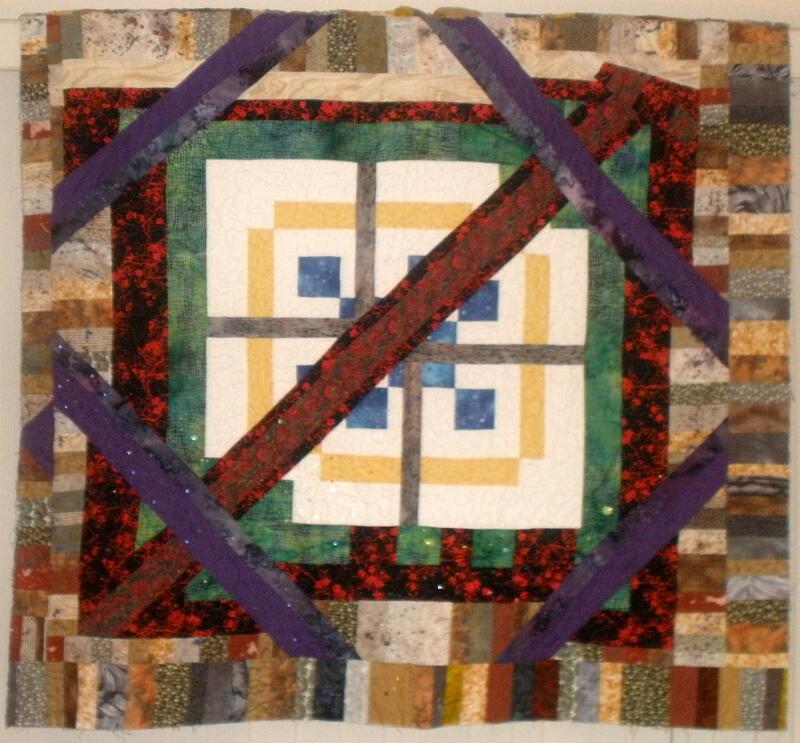 This was the first art quilt technique I learned in a workshop with John Willard in 1998. He doesn’t have much of a presence online, but this posting by the London Ontario Quilt Guild has lots of information about his work. 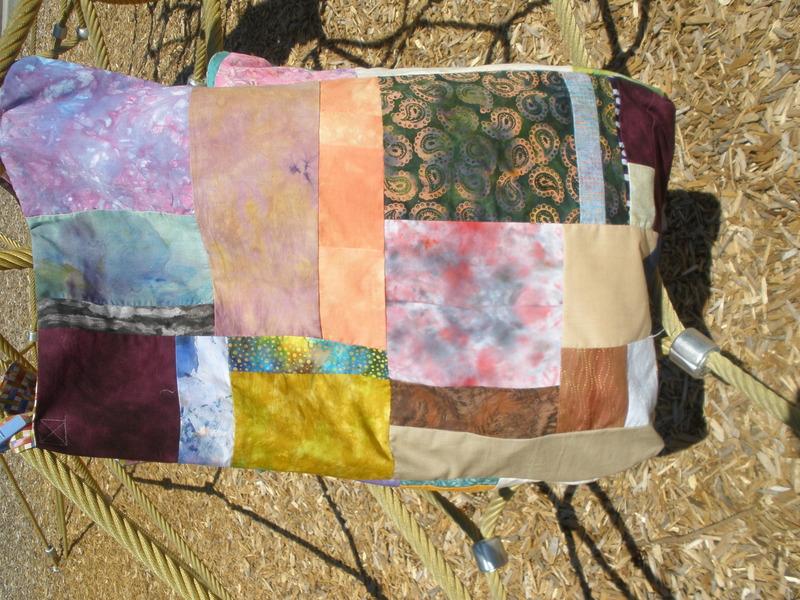 Quilted by Andrea Hamilton of Sydney, B.C. I can’t say enough nice things about Andrea because my quilting skill is not up to the level of my design, and she definitely made all the difference! 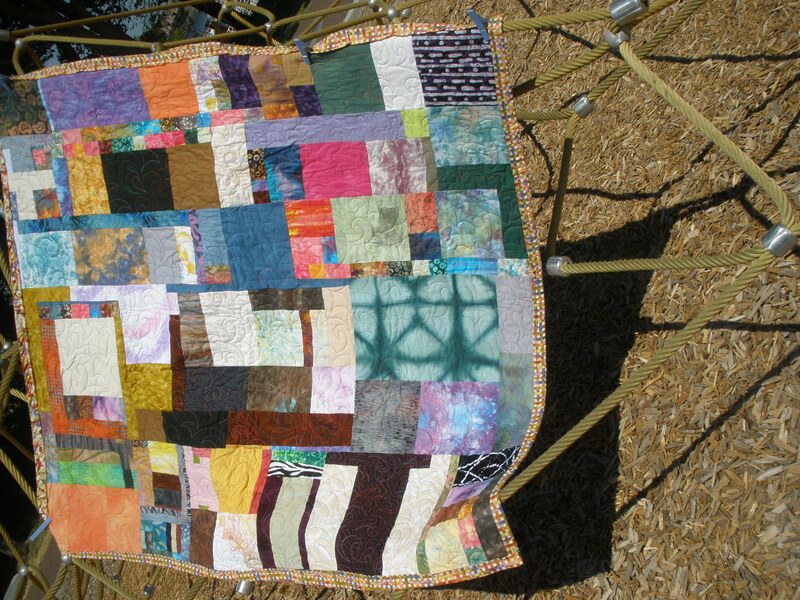 Strictly speaking I believe it’s a house quilt, although not the traditional house block obviously. I’ve been busy making binding. Another quilt is off at the Quilt Spa where Andrea Hamilton is working her magic on it. Meanwhile since it has to be mailed off to arrive in Washington State by the end of the month, I got busy with the binding. Afraid I can’t share pix of this one just yet as it is a candidate for Susan Purney Mark’s upcoming book on Shattered Angles. 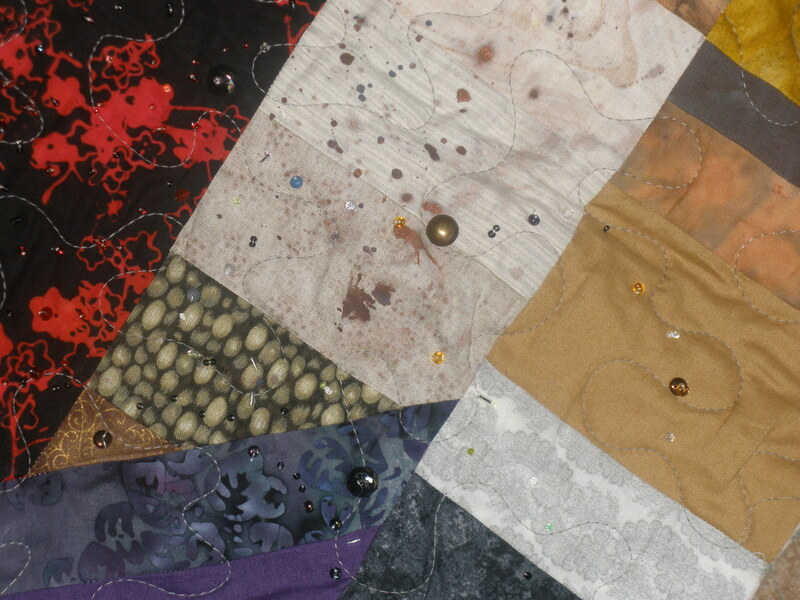 But here’s Geode, which Andrea quilted for me, which was in the Geophysical exhibit at Quilt Canada in Calgary. The instructions for bias binding on About.Quilting.com are nice and clear, and in my bookmarks. But after making the binding I suddenly remembered the one bit of the formula they left out. AAAAARRRGGGGGH! 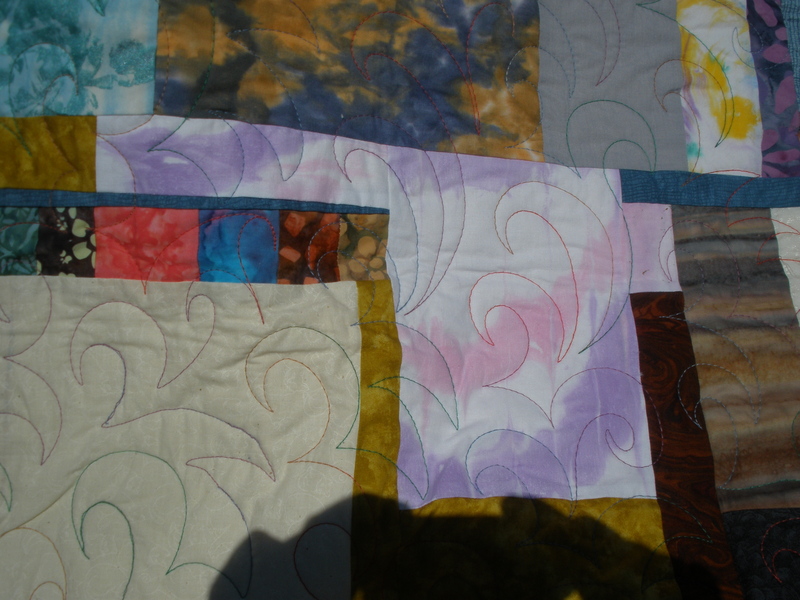 When deciding how big of a square to cut, they tell you to calculate the area of the binding by measuring around the perimeter of the quilt, adding 10 inches for safety, then multiplying by the width of the binding. You then find the square root of that number, which is typically something that goes to several decimal places, so they tell you to round up to the next inch. Round up to the next multiple of your binding width. is more where that came from. I measured along the length of the binding and I have Just Enough to go all round the quilt with 6 inches to spare instead of 10. Fingers crossed, people! 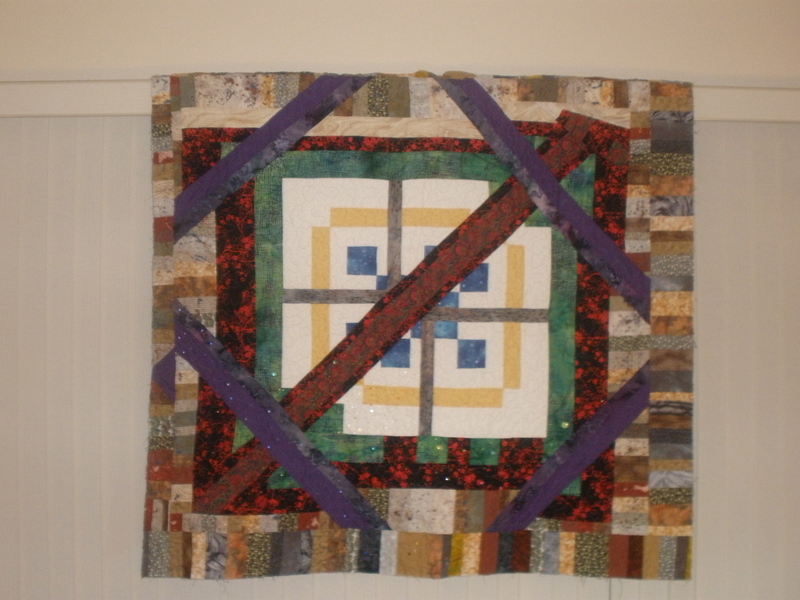 What’s your biggest source of frustration when quilting? Let’s share war stories!